​Barcelona wide man Ousmane Dembele has spoken out about his future, with rumours circulating that a move to Arsenal could be on the cards. The Frenchman only moved to ​Barcelona last summer in a deal that cost the Catalan club around £135m, and an injury plagued first season at the club has hampered his progress. 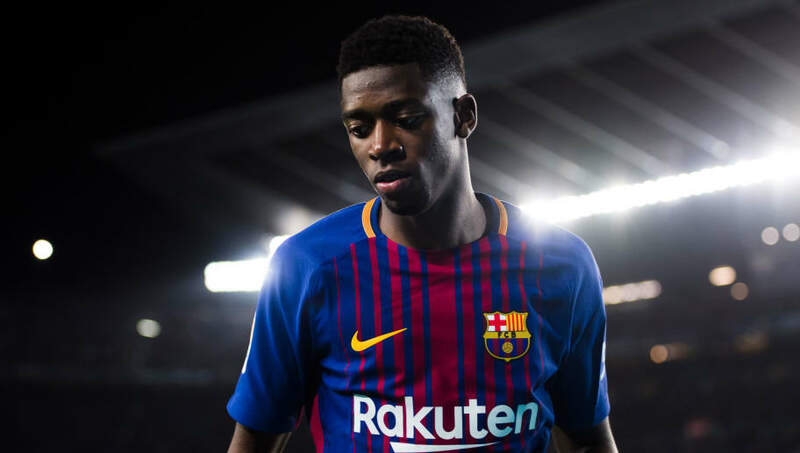 At just 20, Dembele still has a long career ahead of him, but the long term hamstring injury he suffered at the start of the season has led to him largely being left in the shadows at the Camp Nou. Reports emerged that ​Arsenal were taking an interest in the former Borussia Dortmund forwards and were hoping that assurances of first team football could tempt the youngster to make a move to north London. However, Dembele has this week spoke out about his future and looked to quash any suggestions of an exit from Barcelona. As reported by ​The Express, he said: ''I'm not going to leave after just one season. ''I signed a five-year contract with Barcelona. I'll be here for a long time. I'm not at the top of my game right now but little by little, I will return to my best. I'm working on my cardio, because I get tired very quickly. Dembele will be hoping to make an impact for Barcelona before the season is up in order to prove to those in the national team set up that he is worthy of a World Cup place in the summer.